Summer Crawl DC is an end of the summer season themed bar crawl based in Washington D.C. Participants will quench their thirst on exclusive drink deals as they explore D.C. and celebrate the end of the season, one bar at a time. Price: $14.99 in advance; $20.00 day of. *You must be 21 or over to participate. What to Wear: Rock your beach gear one more time before you put it away! Where do I get my wristband and sunglasses? Sunglasses and wristband pick up will be at Black Finn. Wristband pickup will be available 1pm-5pm. Can I sign up when I get there? Yes, but registering in advance will save you money and time! Do I have to show up at 1pm to get my wristband and sunglasses? You will be able to check in at the pick-up locations from 1pm until 5pm. Summer Crawl DC officially starts at 2pm and spans until 9pm. Sorry, you must be 21+ to join in on the Summer Crawl DC fun. Will food be available available at the participating bars? 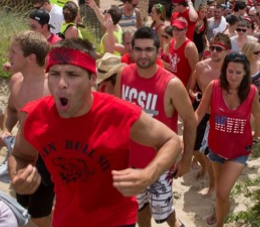 Yes, every establishment participating in the bar crawl serves food and will have food specials available that day. 3 Pizanos Pizza & Subs will also act as an event sponsor and will have $2 pizza slices for Summer Crawl DC participants. 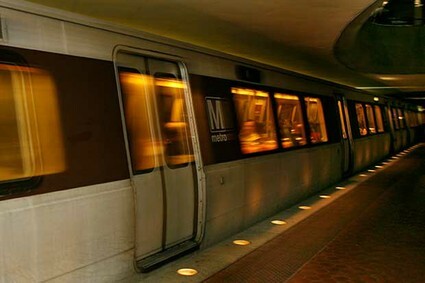 If you are not taking the metro, please do NOT drink and drive! Have a designated driver ready to pick you up upon the conclusion of the bar crawl. If all of your friends are participating utilize any form of public transportation including the Metrobus and/or rail system. Go from Summer Crawl DC 2012 Information and FAQ’s back to the Project DC Events homepage.